Kids will have fun practicing forming their alphabet letters with these super cute, free printable Preschool Handwriting Worksheets. Each page includes space to color pictures with the same beginning sound as well as an area for tracing letters. 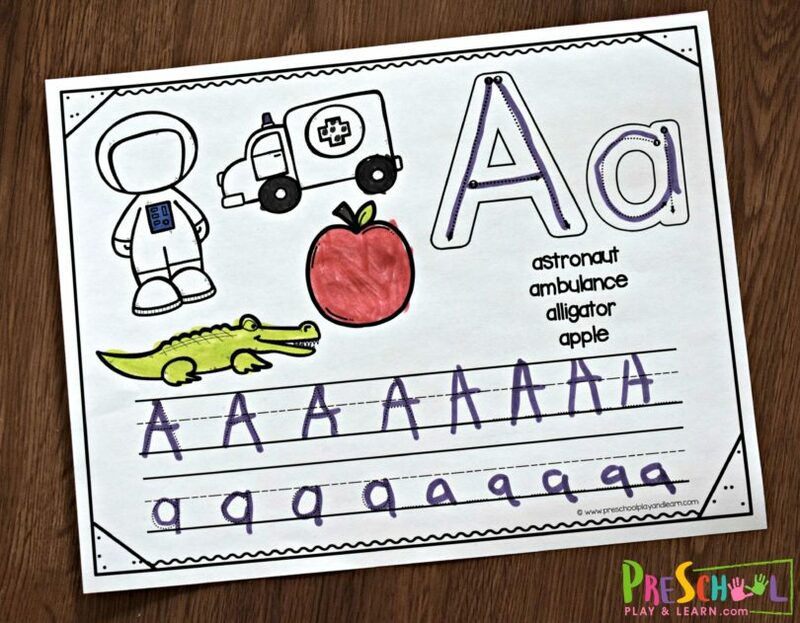 These alphabet worksheets are perfect for preschool, prek, and kindergarten age kids who need practice forming their letters. Just print as many black and white worksheets as you like and you are ready to practice tracing letters and listening for beginning word sounds. There are 26 alphabet printables, one for each letter form A to Z. Simply print the worksheet (s) for the letters you are working on. They are in black and white to save on ink. 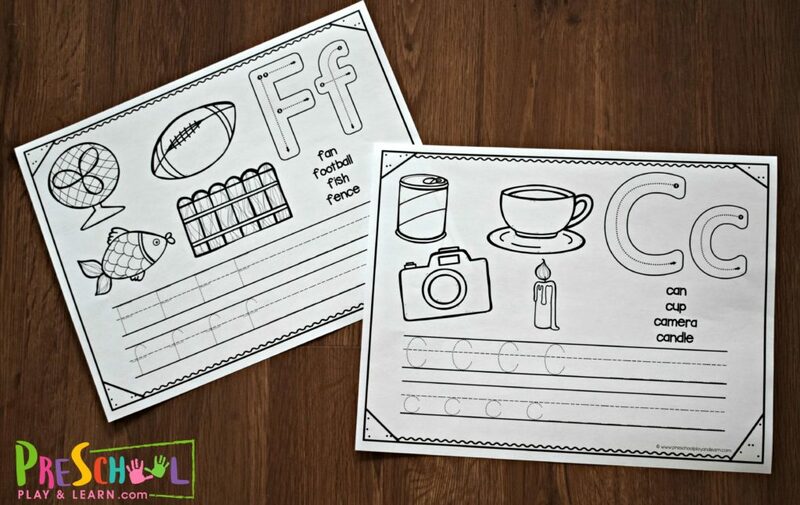 Each one of these handwriting worksheets includes how to properly form the letter along with a line for practicing uppercase and one for lowercase letters. On the top there are pictures of words that start with the letter featured on the preschool worksheet. Looking for more fun alphabet activities to try with your preschooler? You will love these no prep, FREE printable Letter Crafts. Each craft is complete on one page – just print, color, cut, and paste to make your own easy alphabet craft.